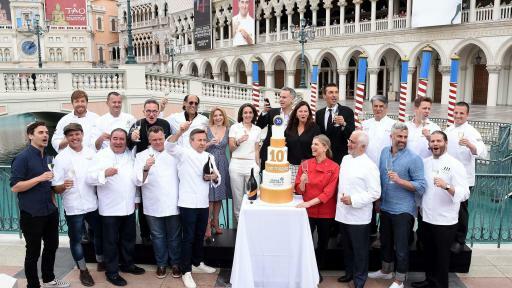 The 10th anniversary of Vegas Uncork’d by Bon Appétit began with a pop as some of the biggest names in the culinary world united at Doge’s Palace Piazza at The Venetian. 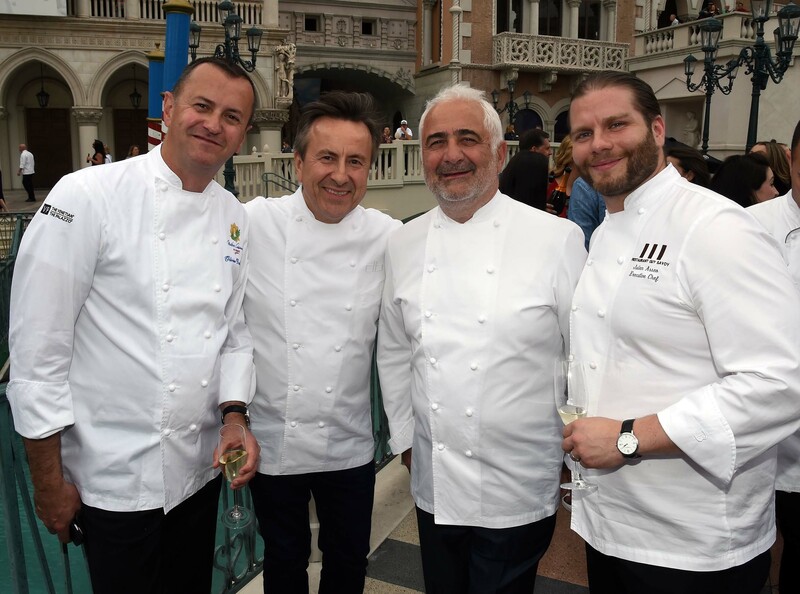 Joined by more than 10 iconic chefs including Guy Savoy, François Payard and Emeril Lagasse, Chef Daniel Boulud traditionally sabered a magnum of Mionetto Prosecco to kick off the weekend of festivities at Caesars Palace, The Cromwell, The Venetian® and The Palazzo®. Dine in the Dark: A Sensory Lunch at Bacchanal Buffet, Friday, April 29: This lunch is unlike anything you’ve experienced before! Hosted at Bacchanal Buffet, named the #1 buffet in Las Vegas by USA Today, the renowned chef team will present a culinary journey that starts the moment you enter. Guests will be blindfolded then led to their gourmet multi-course lunch in a private dining room. The special tasting menu will highlight some of the Bacchanal signature dishes and feature enhanced textures, smells and sounds to delight the senses. Master Series: Lunchtime Learning and Libations with Mary Sue Milliken and Susan Feniger, Friday, April 29: Back by popular demand! Your chance to get up close and personal and become a part of the culinary action at this fun-filled cooking class with chef duo, Mary Sue Milliken, and Susan Feniger. Taste, sip and learn as the Too Hot Tamales prepare flavorful dishes, share their tips and cooking techniques, and shake up intoxicating libations for guests at the newest Border Grill inside The Forum Shops at Caesars Palace. 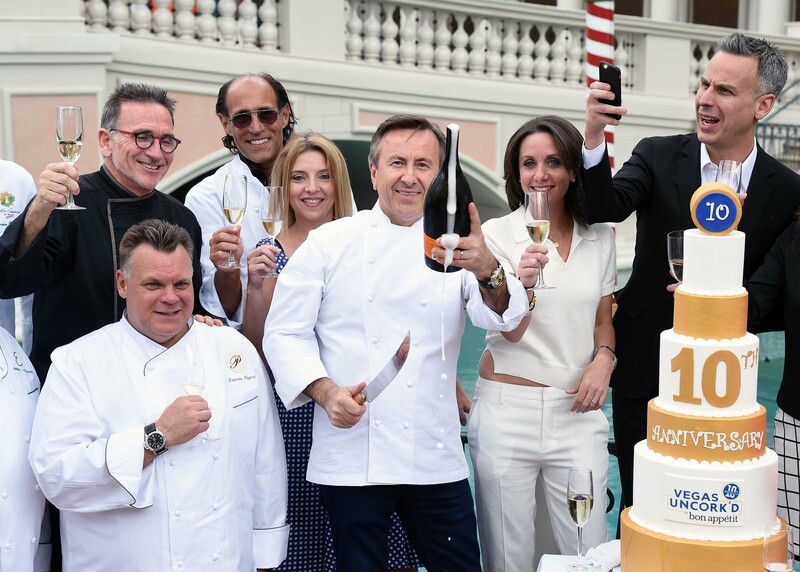 Guests will meet the chefs, enjoy a multi-course lunch with specialty cocktails, a takeaway recipe booklet, and have the chance to purchase personalized cookbooks following the event. Exclusively for Chase Sapphire® card members, the Too Hot Tamales are hosting a private lunch touring the flavors of the Latin world. This intimate affair includes a special gift from the restaurant, a multi-course meal and top shelf tequila and margaritas! Yardbird’s Southern Hospitality: Beers, Bourbons and Bites, Friday, April 29: Start your night out the right way with the perfect Southern-infused happy hour, which kicks off with a delicious mix of bourbons, beers and bites, thanks to the stellar team at Yardbird Southern Table & Bar. Each of the three infused bourbons and three locally sourced craft beers will be paired with savory and sweet hors d’oeuvres, and you’ll have industry leaders and Yardbird’s expert mixologists on hand to give you the low-down on everything you’re sipping and tasting. 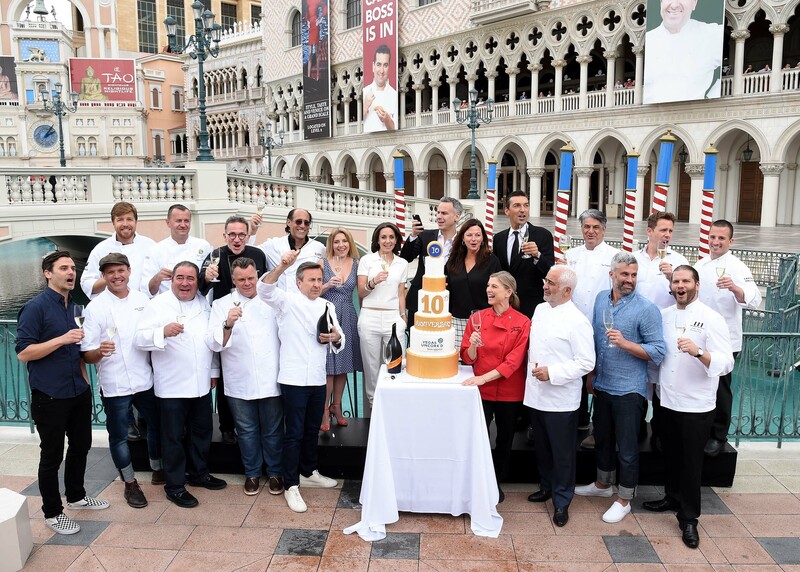 Brunch & Bubbles at the Boss’ House, Saturday, April 30: Enjoy brunch in epic style at Buddy V’s Ristorante at The Venetian. Hosted by “Cake Boss” Buddy Valastro’s operating partners, famed Las Vegas husband and wife team Chef Kim Canteenwalla and restaurateur Elizabeth Blau, of CNBC’s Restaurant Startup, the over the top brunch will feature classic brunch favorites, complemented by elaborate seafood stations, a caviar ice bar, bottomless bubbles, build-your-own bloody mary bar, a decadent dessert display and much, much more. Guests will be treated to stunning views of the Las Vegas strip and an Italian brunch the entire famiglia will enjoy – like a boss! The Ultimate Comforts & Classics Affair at Downtown Container Park, Saturday, April 30: It’s your chance to head off the Strip to one of the city’s newest dining hot spots. The very best chefs are coming to the Downtown Container Park on Fremont Street to grill up mouthwatering burgers, birds and comfort food classics—all paired with bubbles, beers and craft cocktails. You’ll be in the middle of all the action and can sample the limited edition Crackle Burger and one-night-only Uncork’d Concrete from Shake Shack, ramen bowls and surf & turf from local favorites Itsy Bitsy Ramen & Whiskey and The Perch, along with incredible dishes from the hip Miami-transplant, Yardbird Southern Table & Bar and their new concept, Spring Chicken. With a huge outdoor stage featuring a rockin’ live band kicking the night into high gear—this outdoor party will be sure to raise the heat—so get ready for a night to remember! 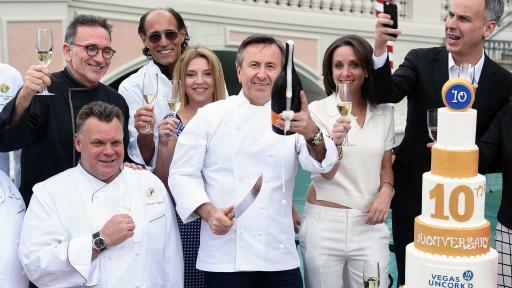 For more information and full event schedule, visit VegasUncorked.com. Follow @VegasUncorked for updates throughout the weekend. 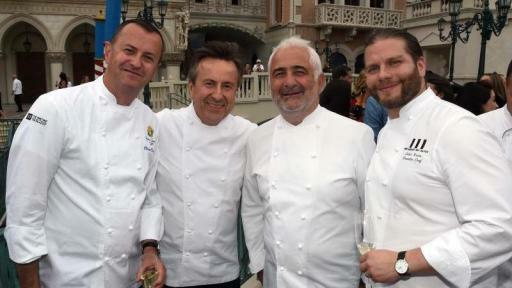 Bon Appétit is where food and culture meet. 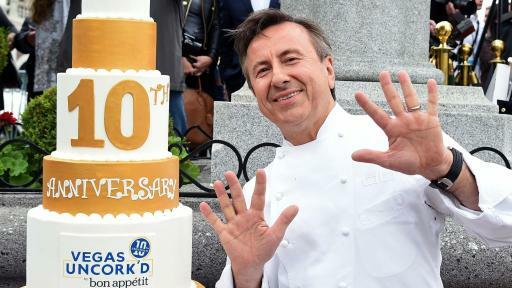 The award-winning No. 1 food lifestyle brand covers food through the lens of cooking, fashion, travel, technology, design, and home. 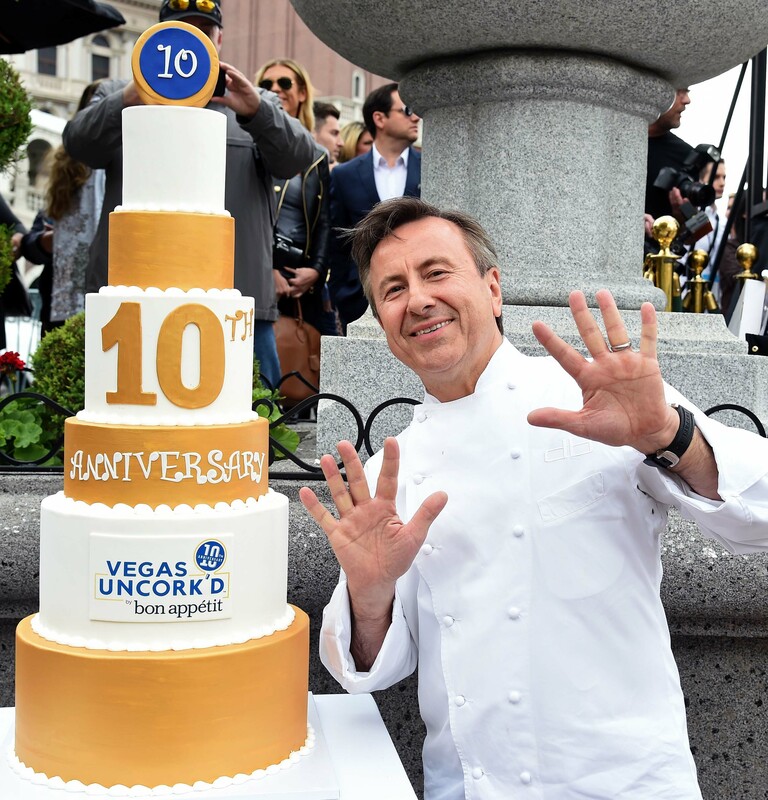 Advertising Age named Bon Appétit brand of the year, the magazine was the No. 1 magazine on the A list and Pamela Drucker Mann was named Publishing Executive of the Year. That marks four consecutive years on the Advertising Age A list and 4 years on the Adweek Hot List. Bon Appétit has also been nominated for 22 National Magazine Awards, including wins in 2014 for General Excellence and Photography.